Un laptop di fascia media dotato di una GPU di fascia alta. 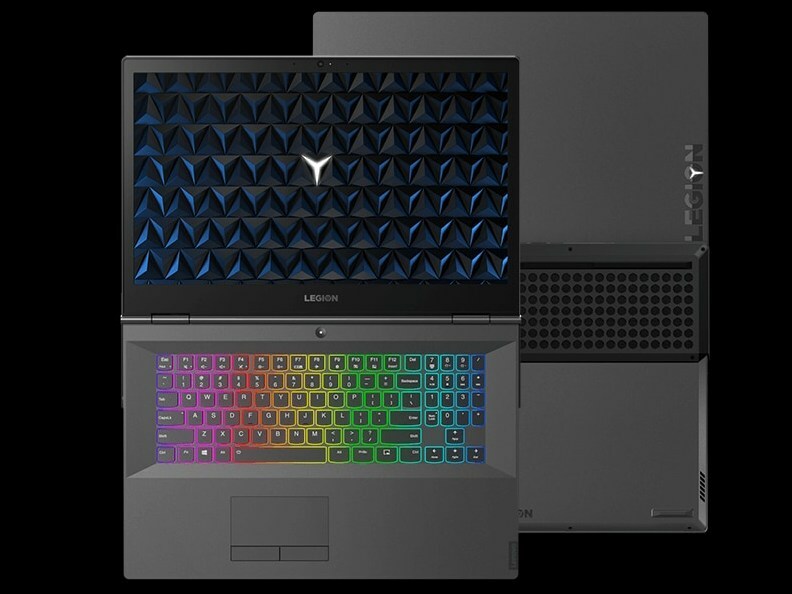 Il Lenovo Legion Y740 è potente quanto alcuni dei più popolari battitori nel mercato dei notebook per videogiochi, anche se non sembra. The Lenovo Legion Y740 is a strong performer and boasts solid speakers, but it loses points for its dim display and questionable build quality. The battery life is brief and the body is hefty, but Lenovo's Legion Y740 delivers fine value among big, high-powered gaming laptops, with speed and features that rival more expensive machines. If you're in the market for a gaming PC, you've obviously got a lot of options, but I think the 17-inch Lenovo Legion Y740 is a pretty good choice. It's massive, and we'll be taking a look at the 15-inch model in a week or two. But as long as you're OK with the size, you're good to go. It’s crystal clear where Lenovo’s focuses were with its Y740 gaming laptops update: power, power and more power. However, this coupled with once-optional features coming standard has hiked the starting price up considerably. NVIDIA GeForce RTX 2080 Max-Q: Queste schede grafiche sono paragonabili alle entusiasmanti schede grafiche desktop, come la 9800M GT. Le schede hanno un core simile alle relative schede desktop, ma hanno un clock inferiore e spesso hanno processori con meno ombre. I giochi moderni come Age of Conan, Race Driver Grid, Call of Duty 4, Mass Effect, o Gothic 3 dovrebbero scorrere in modo fluido con dettagli elevati (Crysis dovrebbe funzionare con dettagli medio alti). 76.4%: Il punteggio ottenuto non convince. Bisogna considerare che difficilmente altri portatili hanno ricevuto un punteggio inferiore al 60%. Questo portatile è stato giudicato sotto la media, pertanto non possiamo consigliarne l'acquisto.